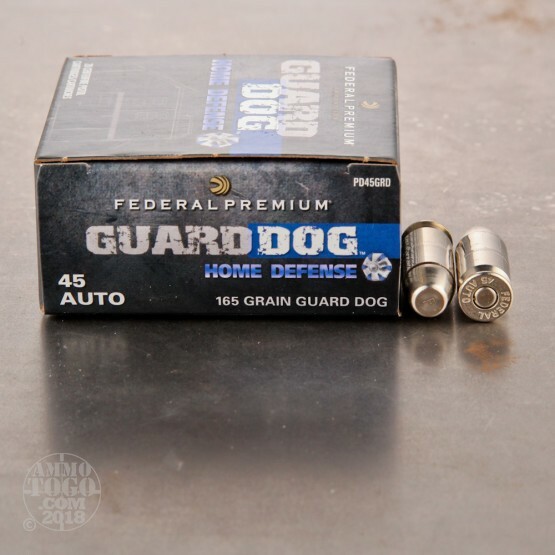 This 45 ACP cartridge from Federal’s Guard Dog line of ammunition features a 165 grain expanding full metal jacket (EFMJ) projectile. 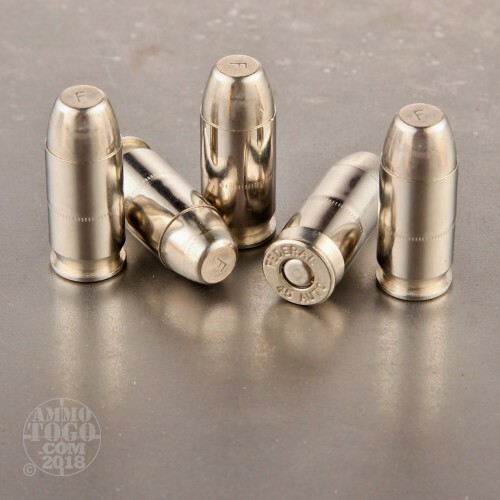 Also known as a captive soft point, this style of bullet doesn’t rely on hydraulic force in order to begin expanding -- rather, it achieves expansion because the little polymer ball in its tip gets compressed during impact, forcing its scored jacket outward. This means that the EFMJ’s ability to expand can’t become affected by debris clogging the nose cavity, and furthermore that it’s able to provide all the performance benefits that a full metal jacket entails. So long as it has adequate velocity, the EFMJ bullet will consistently expand to the same diameter, making it a very reliable choice for self protection. This round’s light bullet will also save you from heavy recoil, a welcome feature in a round that you might use to engage multiple targets. 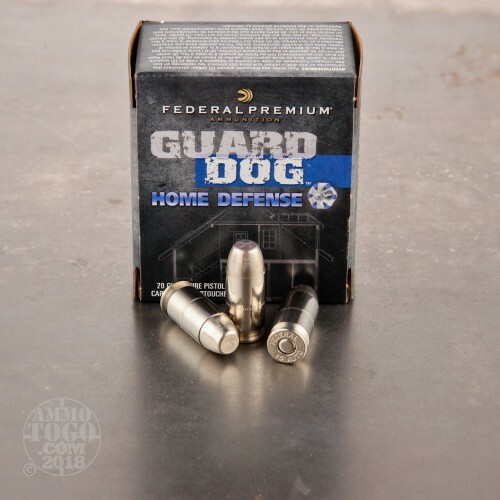 Just don’t let your real guard dog know that you’re buying this ammo, or he might get jealous! posted on 7/30/16 by Joseph D.
Impressive ammo, in my humble opinion. Shot it through a series of water-filled milk jugs. It went through 2 jugs and came to rest in the 3rd. All the bullets expanded to right at .70 caliber. Biggest was .709" It's my new nightstand ammo in my Ruger P90. 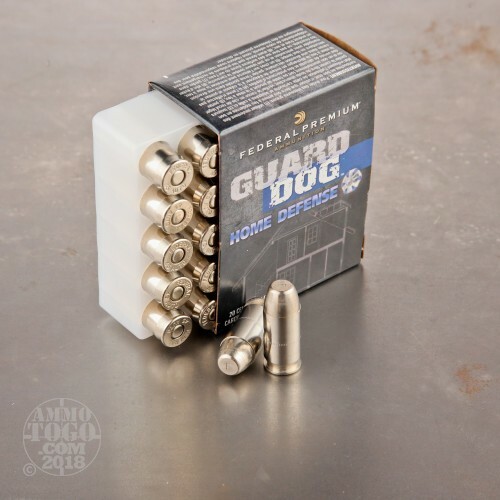 I had a XD9 with guard dog, I called it my silver bullets. The range officer shot some rounds at rail road timbers and left a quarter size hole.